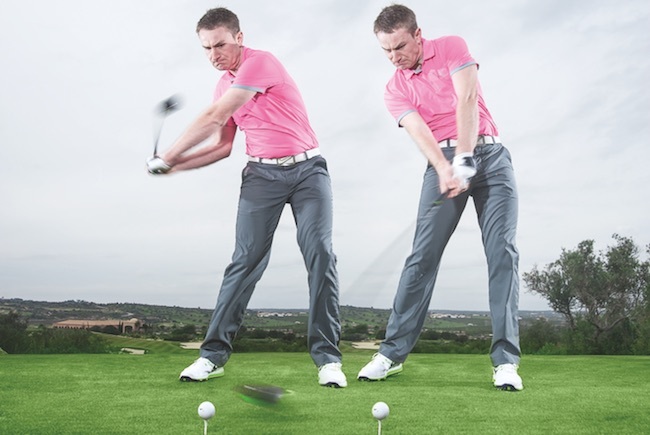 To be good at chipping, you can’t afford to be static. You need to rotate through the shot. 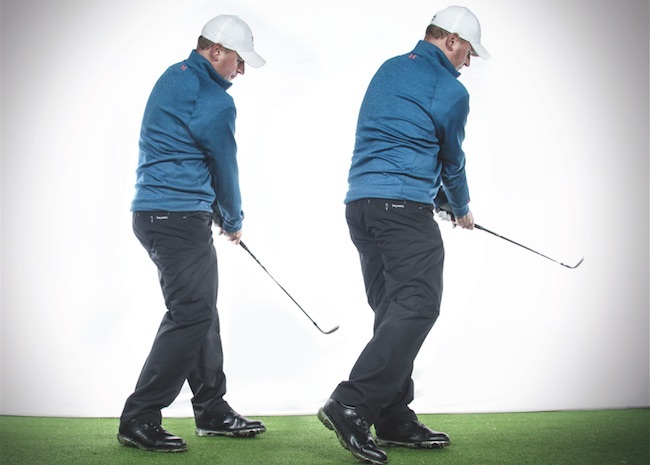 When I’m chipping, I’m always very aware that I don’t want to get stuck on my right foot. I want to be able to rotate my lower body, my right heel, then transfer my sternum and rotate through to the target. You can see how not to do it, above left. My arms work left and my foot has stayed on the ground. Bad technique is something lots of guys have with this shot, where their feet stay rooted to the ground. When that happens, it’s just arms and that then changes the low point of your impact position. That means there is no downward motion and it becomes a pretty poor impact position. It’s important to coordinate more from the ground and start to transfer left. 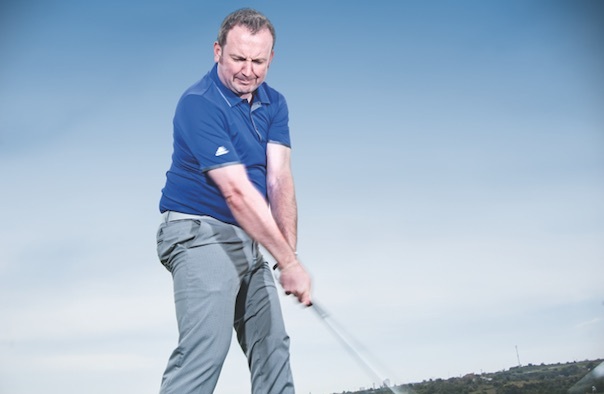 With this shot, your upper half has to work more in tandem with your lower half – think about your centre point as an integral part of the swing. You should feel as though you are facing the target a bit more with the club in the hands, more out in front of you and down the target line. Don’t be static. 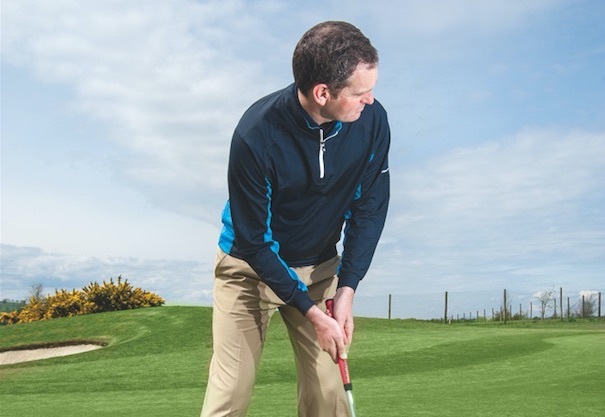 David Orr is the Head Professional at Eastwood Golf Club. For lessons, call 01355 500285. Follow him on Twitter @DavidOrrGolfer. Originally published on bunkered on August 1, 2016.